How do I download music on my Android phone? What is the best free music download app for Android? If the same has been the case for you, then that is no longer an issue as there are several Android music downloader apps out there that will enable you to download music for free on Android. Turn a dull day into one of the best days of your life. The importance of music to human lives cannot be overemphasized. If you've got an Android phone, what you expect and deserve is the best music experience most especially if your smartphone is built with the best speakers. Do you rely on the default Android music player or do you take one more step to make your smartphone a smarter one? I'll tell you by making reference to the Importance of Android Music Downloader Apps. Third party music downloaders allow you to play songs of different formats which your stock music app might not be able to play. Some of these music formats supported by these downloaders include OGG, AAC, MP3, AIFF, WAV, PCM, Opus, Vorbis, Musepack, ATRAC, etc. You need a good music player that can enhance the sound quality of songs played on your phone, which is a feature provided by the best Music downloaders for Android. As the song is important, so are the lyrics which will enable you to learn the words to your favorite songs and even to ones you don't like which may help you grasp the message the singer was trying to relay. But I can download any song of my choice using my web browser. While that is undoubtedly true, there is still the need for file organization. Imagine having all your songs in separate folders or some in folders you don't even know exist on your phone. How do you transfer these songs or gain easy access to them? 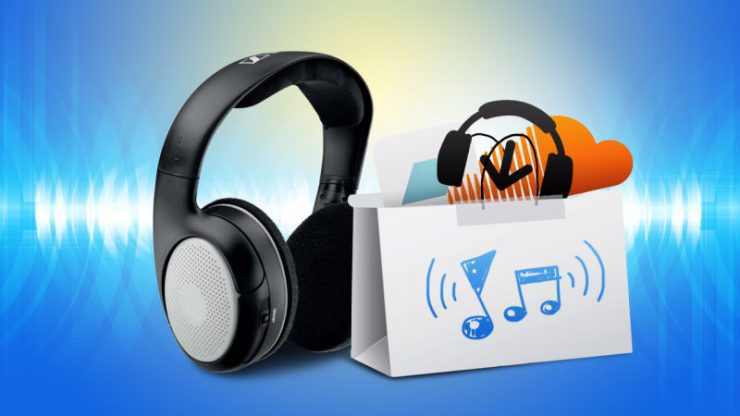 Let's take a look at best free Android/Tablet Music downloader apps that can decide how long you stay glued to your phone and its headset irrespective of the task at hand. Before then, you can check out this post on how to download iMovie for Android which will enable you to enhance the quality of your videos or create movies right from your smartphone. You can cut videos from the middle, add stickers or emojis, modify the sound track, and even create a video without a watermark. Whether you're looking for Google Maps, Hangout, Operating system, Smartphone, Play Store, Cloud storage, Search engine, Google has got you covered. In terms of music, there's the Google Play Music app from this multi-purpose company to enable you to download songs to listen offline or stream them online. You can turn your phone into a radio where you have absolute control over what gets played and when thanks to this app that supports over 50,000 uploads of songs. Categorised here as the best app so far that has been available for 6 years now (2011), with over a million downloads and 35 million songs, this music downloader app can handle songs in MP3, FLAC, ACC, OGG and WMA formats. An internet enabled Android smartphone and a Google Account which will enable you gain access to features packed on this app. It can recommend news songs to you based on your tracked music play history. Its organized music collection based on activity, decade, genre, artist, year etc allows you easily locate your preferential song. It allows you to create Playlists of songs, arrange and organize them efficiently. It comes with a Radio to enable you to listen to your favorite local radio stations. It allows you to subscribe to free and paid podcast. It gives you the ability to stream and download songs and also provides a music player for the current songs on your phone. If you want the best place to download mp3 songs with constant speed, then you should try this app. Keep in mind that there are in-app ads in this download when you use its free version and more features provided with no ads in its paid version. At one time or the other, you must have stumbled on the word Spotify on the internet. That's how popular it is. It is a music and video player/downloader app developed by Spotify AB in Stockholm, Sweden, for smartphones running on the iOS, Windows and Android OS whether it is a Smartphone, Tablet or computer. This app is mainly for those in regions such as the United States, Australia, Newzealand, and Europe, as there is no worldwide support at the moment. It is still one of the best apps you'll find out there, and given its popularity, users have found it very useful. If you do not want to spend time creating your own playlist, you can choose from Spotify's recommended playlist to discover new songs. There are over 20 million songs on Spotify, an extensive collection to ensure you don't miss out on the latest from your favorite artist and so you discover more songs daily. It allows you to stream songs online at a fast speed of at 320 kbps, and save them offline for future reference. With its playlist feature, you can categorize your songs in any given order irrespective of time or date. Its premium version comes with added functionality that enhances the quality of song played through your smartphone. In need of a website to download music for free and also upload your songs? Then here's another on the list. It is 4shared, an online PSP file-sharing site that has developed a free mobile app to support documents, photos, music, etc. on Android phones. This site has existed since 2005, hence if you're looking for trending songs from years back, you can get them here. 4shared has over 5 million songs for download, allows you to upload your own songs, mixtapes and beats, and also provides an online cloud storage of up to 15GB to store your music files. Its app incorporates features that enable its users to search for a song on their smartphone even those uploaded by other users by customizing their search to the upload time, size, type of file, etc. You can also stream and download more songs/videos from the net with the help of 4shared music downloader app. It functions as an Android Music app downloader, music player app and file sharing app for Android. It has an organized category of songs that performs a quick search of a query inputted by the user. It allows you save songs offline to enable you to replay them as often as you'll like to. Files uploaded to 4Shared's cloud storage can be shared with friends and family. You can also find the latest apps and games on 4shared's website as well as eBooks. SoundCloud is a free MP3 music downloader with the dual functionality of downloading and streaming songs. It can recommend songs for you based on the trends of your searches within a few days. A downside to this app is that it has in-app ads that may tell on your mobile data and overall user experience, but notwithstanding, if you're out to get the latest songs from a large collection of over 150 million tracks, then it's a little price to pay. You can as well upgrade to the paid version to get unlimited access to all songs while at the same time get rid of the apps. Searching for tracks you have interest in, streaming them before downloading, and creating playlists for your downloaded songs can be attributed to the capabilities of this app. It allows you to upload your songs in a way of promoting them. It allows you to download songs uploaded by other users and also review them. Allows you to connect with your friends and also your favorite artists. Other than Android devices, SoundCloud for iOS Web, Sonos, Chromecast, and Xbox One is available. Wynk Music Downloader for Android, iOS, Windows Desktop and Mac OS, is targeted at the particular region, for instance, India, Nigeria, etc. If you're a lover of Nigerian Songs, Bollywood/Hindi songs or songs in your local region, then you might find this app useful as with many others whose downloads has amounted to over 10 million. There are over 2 million songs on this app, not limited to only Indian songs by famous artists like Atif Aslam and Kishore Kumar as you'll be surprised to find a couple of songs from well-known US and UK singers like Justin Bieber and Adele. The songs on your phone can be played using this app that has an easy to use and navigate user interface coupled with several hand gestures to aid the process. While to use the paid version, upon registering, you can access all the features of this app for free only for a month before you are required to make a subscription fee of Rs. 99 per month. It provides a library containing Hindi, Bollywood and Hollywood songs. It allows you to choose your preferred sound quality to stream or download. It allows you to set your favorite song as your device's caller tune. Its search engine allows users to search for songs based on moods, genre or artists. It also allows online streaming of songs from its vast database collection. Skull MP3 Music Downloader Pro is a music player and at the same time, a downloader app for Android. You can play several music formats with this app, as well as search online for more songs included in its database. Using one of the songs you've saved offline, this app can be used to change the default caller tune of your smartphone. It can play songs within a folder. It can be used to rename a song and edit other details. Songs can be skipped by shaking the device. It has a 5 band graphic equalizer with presets to improve sound quality. Music Paradise culled from its name, strives to offer you the best music experience on an Android. You can download music as well as the latest ringtones using this app. There is also a library in this app as is usually the case of most. This library categorizes your songs depending on which method you want it arranged, based on frequency, Time, date, genre, artist, album, etc. It can be used alongside your default app player or any other music playback application since it allows you to save files offline to your phone's memory. You can search for songs, or select a search term based on the app's prediction, and download apps paralleling without noticeable changes in their download speed. Other than serving as a music download app, it also allows you to create your own ringtones directly from the app, and even modify any song. There is a free and paid version to this app, where the former makes use of in-app ads to monetize and the latter is free from ads after subscription has been made. Songily is another excellent app you can try, it a free MP3 downloader app an online Video Converter for Android. You get to determine the quality of the songs you download, either better or moderate with decrements in file size. It provides a list of trending songs on its Top charts and offers it for downloads and streaming. Its search engine feature enables easy and fast access to individual files. It has sharing capability to aid transfer of songs between device. SuperCloud as a music manager app gives you access to thousands of music files in its database. You can search for them by song title, artist name, genre, or the album itself to download. You can stream music online to review its content before actually downloading them, which means saving you time and mobile data at the same time. Rock My Run is for sports, athletics, trainers and fitness fanatics who spend most of their time exercising and would love to have something relax their mind and motivate them while at it. So far, this is the best workout music app for Android because it has a selection of music that is fit for a workout. There are claims that RockMyRun can increase an Individual's motivation and enjoyment by 35 percent. The Heart Beats Per Minute (BPM) feature also known as Body Driven Music of this app adjusts the music tempo to allow you move in rhythm to it. There are several genres of songs on this app such as Pop, Rock, Hip-hop, Dubstep, Drum & Bass, Christian, R&B, Latin, Reggae, Country, Bmore, etc. consisting of tracks produced by the best DJs. These are the Best Android Music Downloader Apps for 2017 and 2018 that you can use to find trending songs on the net and those making a hit. While some will have to be downloaded from their developers' website, others can be gotten from Google PlayStore. In the case of the later, ensure you have enabled installation of third-party apps from unknown sources in your device's settings in order to grant access rights.